It’s Valentine’s Day this Sunday. Want a fun printable to spread some love to a next door neighbor? How about for a sister in the ward you visit? Maybe a friend could benefit from you giving a little heart and a gospel message? Or maybe it’s the family that could use a gentle reminder to love each other as the Savior has loved each one of us? It’s my first hand-painted and hand-lettered original, available in a digital download exclusive to the SugarDoodleShop. You can click HERE for purchase. Note**** The printables I offer are to be printed on 8-1/2 X 11″ digital color print cardstock for best results and fit nicely in the “document” size frames, NOT an 8 X 10 frame. Document size frames are widely available at craft or office supply stores, discount department stores, dollar stores and even my fave: IKEA, if you are lucky to have one nearby! This guest post was submitted by Aimee Ferre. She grew up in the desert of East Mesa in Arizona, but married a mountain loving Utah boy. She currently lives in Sandy, Utah and is a mom to 3 daughters. She owns a small crafting business where she creates holiday decor and specializes in hand lettering. You can always find her creating new projects or planning gatherings for friends and family. Follow her on Instagram to see what is currently on her desk or find her at aimeeferre.com. This entry was posted in Love, Printables, Valentines Day and tagged Aimee Ferre, Digitial File, Love, Love One Another, Printable, Sugardoodle Shop, Valentine's Day on February 12, 2016 by aimeeferre. I wanted to share with you one of my favorite ideas that I found on Oh Happy Day. It’s simple, easy and memorable, but I love most how it makes them feel when they open the box… loved! (and it isn’t a sweet treat which is good in this overloaded sugar world we live in). Can you tell it’s week two of my eating clean and healthy? Simply fill your favorite balloon(s) with helium (or just blow them up with air) and put inside of a box. Leave on porches, mail them to grandkids and loved ones. Perfect for not only Valentines, but birthdays & special days… Kids will love to play with them for days! Can’t find heart shaped balloons? No worries. Round ones make them feel just as special XOXO. Have a wonderful Valentines Day. This is a good weekend to look around you and see who may need a lift of friendship with a visit, a phone call or a balloon. This entry was posted in Valentines Day and tagged affordable, Brenda, Love, surprise, Valentine's Day, Valentines on February 12, 2016 by Melanie Day. There are times when loving others asks a lot of us. When our own hearts are broken because of the choices of others, it can be difficult to extend our hearts to those who have caused us the pain. I will love you even if you . . . lie. I will love you even if you . . . steal. I will love you even if you . . . yell at me. I will love you even if you . . . abandon your covenants. I will love you even if you . . . drink, smoke, take drugs. I will love you even if you . . . commit sexual sin. I will love you even if you . . . choose an alternative lifestyle. I will love you even if you . . . leave home and don’t talk with me for years. I will love you even if you . . . betray me. CLICK HERE to open this file as a pdf. CLICK HERE to open this file as an image. This entry was posted in Charity, Love, Printables, Relief Society, Valentines Day on February 10, 2016 by April Sorbonne. I really hate store-bought valentines. They’re overpriced and never come in the right quantities. Plus, they’re ridiculously-generic and lame. If I’m going to spend my night helping my kids create cards for their ’28 closest friends’, I want it to be something they’re excited to pass out at school…something that will make them stand out. At the same time, as a mom of six, I need something cheap and mass-producible. In other words, I skip the stores and make my own. Every year I add a few new budget-friendly valentines to my shop. This year I have a Princess-lover and several Star Wars fans in the house. My goal was to be able to buy one type of candy in bulk that would work for all of them. The end result…the cutest Laffy Taffy Rope valentines you’ve ever seen. Ok, maybe they’re the only Laffy Taffy Rope valentines you’ve ever seen…but still. Aren’t these adorable? Creating them is super-simple. Just grab your favorite instant download from my MeckMom.com shop and then print as many copies as you need on white cardstock. From there, you simply fold on the dotted lines, cut on the solid lines and then attach them to the candy with hot glue. You can whip out dozens of cool valentines in no time. Want to see for yourself? Watch this quick video tutorial on YouTube. Every valentine in my shop is on sale for only $3.95 through this weekend. So click here to visit the Valentine section of my new shop and stock up. Happy Valentines Day everyone! This entry was posted in Printables, Valentines Day and tagged DIY, meckmom, Printables, Valentine's Day on February 8, 2016 by Maria Eckersley. 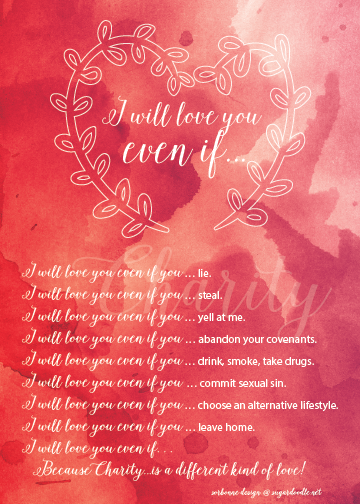 We are counting down to the day of love and made this sweet download that you can make for everyone on your list. Simply print out, cardstock or a whole sheet of sticker paper works well. Write in the blank circles, the reasons why you love your special someone, cut out all of the circles inside the line, or punch out with a 3/4″ circle punch (easiest). Glue onto bottom of kiss and fill your jar up. A pint jar will hold a little over 50+ kisses (The bag contains more, but who can complain about chocolate leftovers?) Fill your jar and place the cut out label between the lid and the ring, adding a doily of you wish… the perfect treat activity for everyone in the family, grandparents, friends, neighbors, church groups, teachers and co-workers. Share the love! This entry was posted in Printables, Valentines Day and tagged 25 Things I Love About You, Brenda, Free Download, Hershey Kisses, Sweet Treats, Valentine Craft, Valentines on February 5, 2016 by Melanie Day. If there is a game our family enjoys, it is minute to win it. We’ve played many versions of this game and loved them all. For instructions and the download, hop on over to Stacy’s blog a grab your copy. ENJOY!!! This entry was posted in Valentines Day and tagged Candy Games, FHE Games, Games, Minute to win it, Room Mom Helps, Valentine's Day, Valentines on February 2, 2016 by Melanie Day.